7 Stockenstroom - Colesberg Accommodation. Welcome to the bustling little town of Colesberg. It is the ideal stop over for people travelling from Gauteng, Cape Town, Port Elizabeth and Kwa-Zulu Natal. Come and relax in this original restored house that is lovingly refurbished and tastefully decorated with antiques. It is situated in a quiet historical part of town. On your arrival, if you prefer come and find inner peace in a tranquil garden setting before having an evening meal at one of our restaurants or Pubs a minutes' walk from 7 Stockenstroom. This 4* establishment is owner managed and you can be sure to expect the best small town attention at all times. Choose either the two bedroom family suite with private entrance leading into a save garden. This unit is normally a popular choice for families with children. Or One of our two deluxe well furnished spacious double rooms. D.S.T.V, fan, electric blankets, air conditioner and a tea tray are available in all the rooms. Hearty breakfasts are served in the dining room or on the patio. Founded in 1830 on an abandoned station of the London Missionary Society, it was named after Sir Galbraith Lowry Cole, then Governor of the Cape Colony. The site of the town lay on one of the well-travelled routes used by traders, hunters and explorers to gain access to the interior. Towerberg or Coleskop is a prominent hill near the town and a landmark easily seen from a distance by travelers. Colesberg saw a large number of battles and skirmishes during the second Anglo-Boer War, and the Colesberg Garden of Remembrance is located just outside the town. 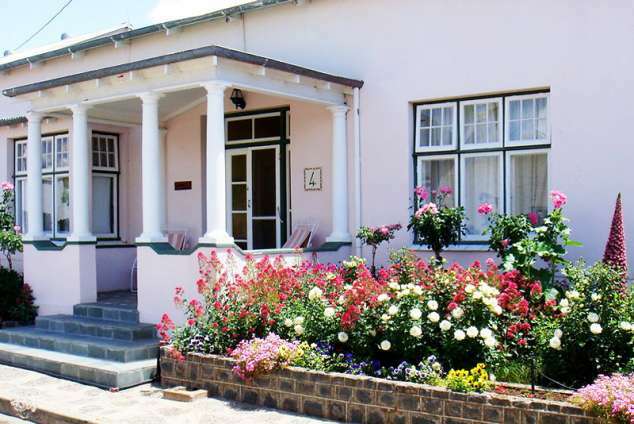 The town boasts many buildings that were built in a blend of Cape Dutch and Georgian architecture with ceilings of reed, and yellowwood timbers, Karoo Cottages and others that display a range of designs reflecting the changes of 19th century building. Indeed, whole streets of Karoo Block houses can still be seen here. Originally plots were pegged out and sold on the site of the town to fund the building of the Dutch Reformed church. 19750 page views since 06 Apr, 2011.